The sliced paper driver 18W/8531-G00 is one of the most potent 6-7" midbass I have ever experienced. It did great in the SP95 set-up. It did even better in the SP38 construction and here's the best I have ever heard from this driver and probably due to the cabinet made from curved and laminated side panels producing the most rigid enclosure I have tested. After doing the 3½-way Zahra: http://www.troelsgravesen.dk/8543.htm, I was happy repeating this approach and in particular with drivers I knew from other constructions. 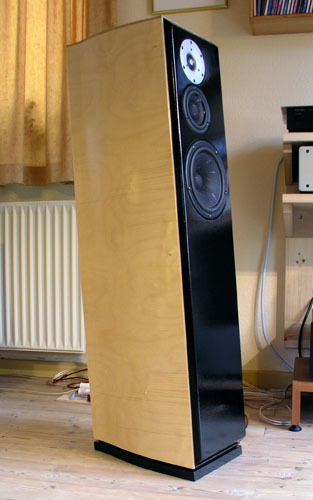 I've made a crossover for a construction including the coated version of the 12M middriver (not published - and shall not) and it did very well despite having to mate two dedicated 8" bass drivers at around 450 Hz. Not my favourite set-up, but this was how the cards were played from the constructor. The construction shown here is the result of another DIY-service project and again the owner has allowed the publication of his construction. Thanks to Jesper. This time I was presented with the finished cabinets and only had to do the crossover. 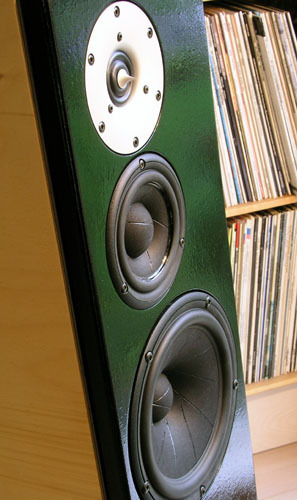 However, a "12M" project was definitely one of the things I would like to do and my own thinking about this small mid-driver was either a single 18W/8531-G00 bass driver + 12M + tweeter or a big 3-3½-way from two 18W/8531-G00 drivers. More on that one later. Getting the 7000 tweeter mating a 15M mid-driver wasn't successful in the wide baffle set-up, but you can never tell how a driver will perform in another set-up. Maybe the 12M would be the ideal partner for the much too expensive 7000 tweeter. Well, the other drivers are ripoff too, but not much we can do about it unless we form a Sliced Paper Club and buy 500 pcs each. The cabinets are made around the SP38 front baffle layout. The front panel size, tilt and placement of drivers are almost identical to the SP38 and you can use this cabinet by adding a 1.5 litre mid-driver enclosure. What Jesper has produced here is probably the most rigid cabinet I have ever seen - and felt. The knockletest is like hitting a solid log of hardwood. The side panels are made from 4 layers of plywood with an overall thickness of 30 mm. The front panel has a subpanel, thus reaching a thickness of 45 mm. This takes some serious chamfering of driver holes to make the drivers breathe. Don't report back it sounds crap if you have stuck the 12M into a tube! The cabinet volume is 32 litres minus mid-driver enclosure and bitumen pads (4 mm). The vent tuning is 33 Hz (65 (ID) x 150 mm vent). Here you can see the structure of side panels bend over 6 frames made from 19 mm MDF. Rear panel is 19 mm MDF + 8 mm birch plywood. Cabinet drawing with basic dimensions. There are a lot of details left out here and you have to figure out these yourself. Again the drivers were linearised by passive components and a 3-way electronic crossover was attached and adjusted to produce a reasonably linear frequency response. 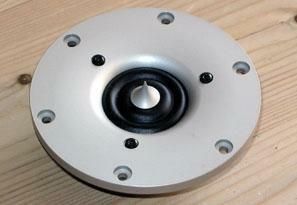 The point of crossover between bass and mid was varied from 350 to 1000 Hz and from 2000-5000 Hz between mid and tweeter. This was done while listening to various kinds of music and vocals to possibly render the best points of crossover. Taking the 12M down to 400 Hz made the speaker sound rather thinnish with lack of volume to particularly vocals and somewhere between 600 and 1000 Hz appeared to make a good balance between bass and mid. The point of crossover between mid and tweeter was somewhat more difficult as the differences weren't so clear. I have a CD with a particular sibilant female vocal and this recording suggested a crossover in the 3.5-4 kHz region to work the best. Next thing to do was creating the frequency/phase and impedance data files from all drivers and start LspCAD simulations to see whether a passive crossover could be constructed with the chosen points of crossover in mind - and still rendering a reasonably flat FR profile. Preferably with the simplest possible crossover. 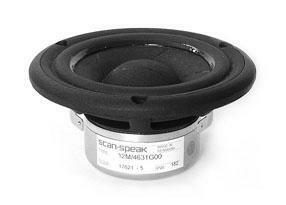 The bass and mid could do with a simple 12/12 dB topology, where the 7000 tweeter really caused a lot of trouble. Major trouble actually. Pulling this broad-banded driver down at around 3.8 kHz really takes some components and what's worse is that it has a minor bump at 6 kHz, which is clearly audible when not corrected. Getting both frequency response and phase tracking in place for these drivers were much more difficult compared to the Zahra construction. The version 1 crossover below may actually be the 5th version of the first crossover, but I'll spare you all the details. Playing around with the LspCAD I also tried a 1st order filter, something I mostly stay far away from. The huge overlap between drivers creates - to my ears - a lot of intermodulation distortion unless played a very low volume, but in this case both FR and phase turned out so nice that I put together a crossover to make an AB test with the version 1 crossover seen below. Making a 1st order network really takes quite a few components, almost as many as the 2nd order filter. The drivers' impedances has to be linearised, e.g. 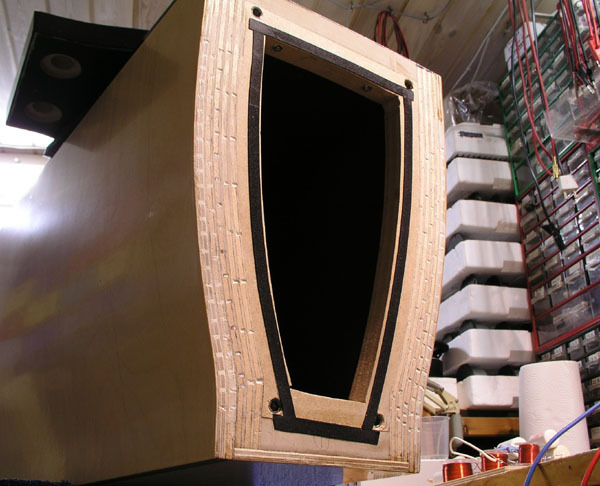 the tweeter resonance peak at 500 Hz has to be removed as the bass and tweeter cross only 15 dB down around 1800 Hz. The mid has to attenuated considerably and is 4 dB below summed response due to the huge overlap of drivers. Anyway, despite having a similar amplitude profile the speakers sounded very different and what made the biggest difference was the sibilance from the 1st order filter. Some more modelling and crossover tweaking was not enough to remove this phenomenon and the 1st order filter was discarded. Crossover for the Ekta. 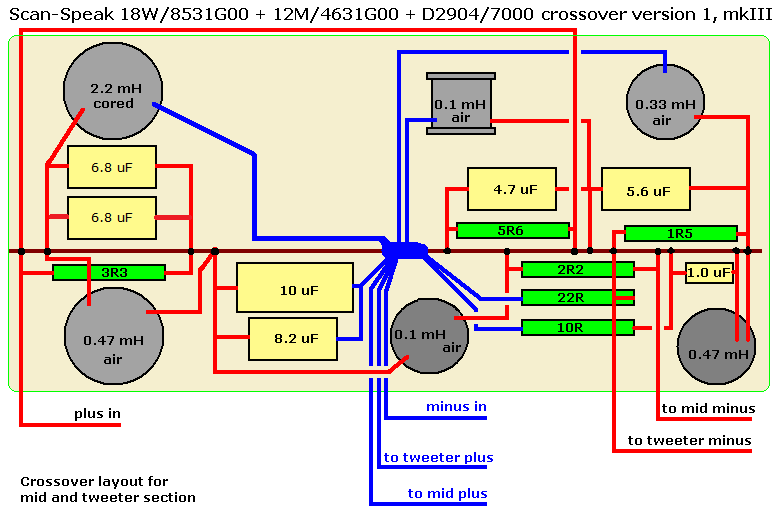 The crossover between bass and mid is close to a second order Linkwitz-Riley topology. A 3rd/4th order topology between mid and tweeter is needed to get these in place. Download Kit Sales Presentations here. 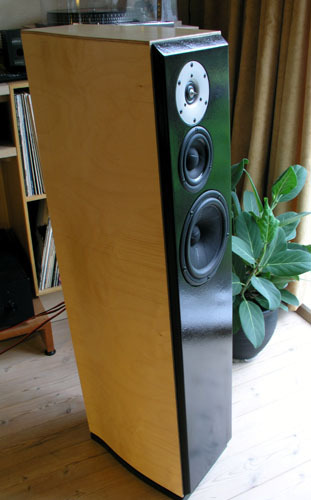 The bass section crossover can be placed on top of the bottom plinth, well away from mid-tweeter section. Suggested crossover layout for mid-tweeter section, 7000 version. The crossover can be placed on the inside of the front panel. Left: Individual response of drivers in cabinet. Green = bass, blue = mid, red = tweeter. Right: Individual response of drivers with crossover. Left: Phase tracking between mid and tweeter. Blue = minimum phase. As can be seen there's an almost 180 deg. phaseshift at 3800 Hz when mid and tweeter has opposite polarity. Right: Phase tracking between bass and mid. Apparent point of crossover is 750 Hz. Don't pay too much attention to these nice graphs. If I move the microphone up or down, it does not look so nice. 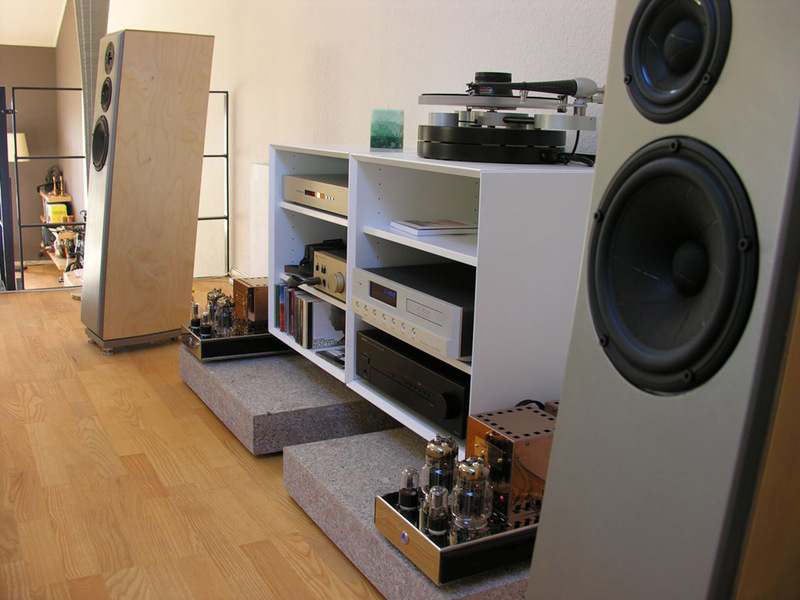 This only to demonstrate that there is a listening point between bass and mid where things are working properly. Measuring height here is at the mid position. 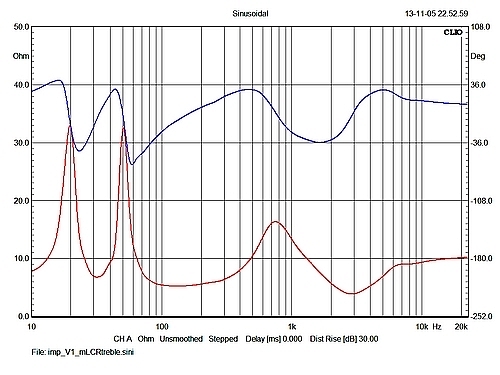 Left: Preliminary frequency response of "final" crossover. Note the is a bump at 7.5 kHz from the 7000 tweeter. Initially I thought this was no big deal, but the tweeter persistently kept reminding me of its presence going trough a number of tracks. Hmm... if you can "hear" the tweeter as such, there's a problem. Right: Inserting a notchfilter at 7.5 kHz and it had this effect. Very noticeable on a number of recordings. After this I raised the general level of tweeter response a little and things fell into place. Left: FRs from left and right speaker. They should sound the same and within 1 decibel we're close. Right: Final impedance of system. Would probably be characterised as a 6 Ohms speaker. I'm sure there will be questions about the 7000 tweeter. Please another one! The price of the 7000 is a killer and I fully agree. The price is way too much. It's a fine tweeter, but it's not that great. To be honest, I'll bet that R2604/832000 at one-tenth the price of the 7000 will do as well as the 7000 tweeter as it only has to handle down to 3800 Hz. 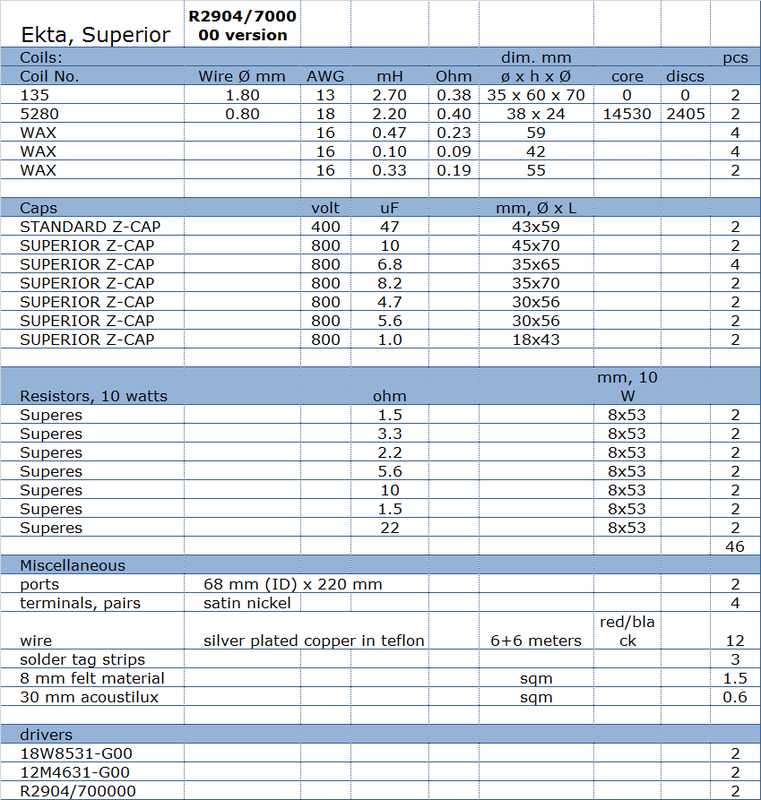 The mid will need a 0.22 mH in replacement of the 0.1 mH. 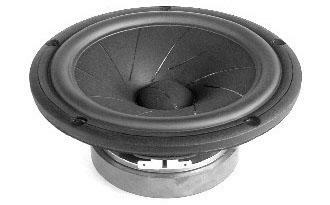 The tweeter goes as follows: 4R7 - 4.7 uF - 0.1 mH to ground - 6.8 uF - 0.33 mH to ground. 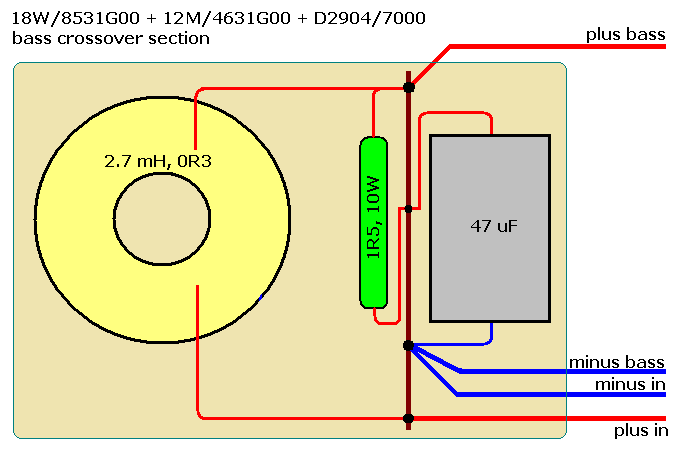 The LCR filter stays in place, only the 1.0 uF is changed to 1.5 uF. 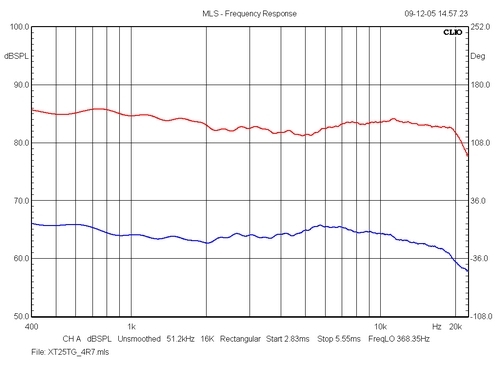 The tweeter notch at 7.5 kHz appears to be derived from tweeter placement and there's not much we can do about it. 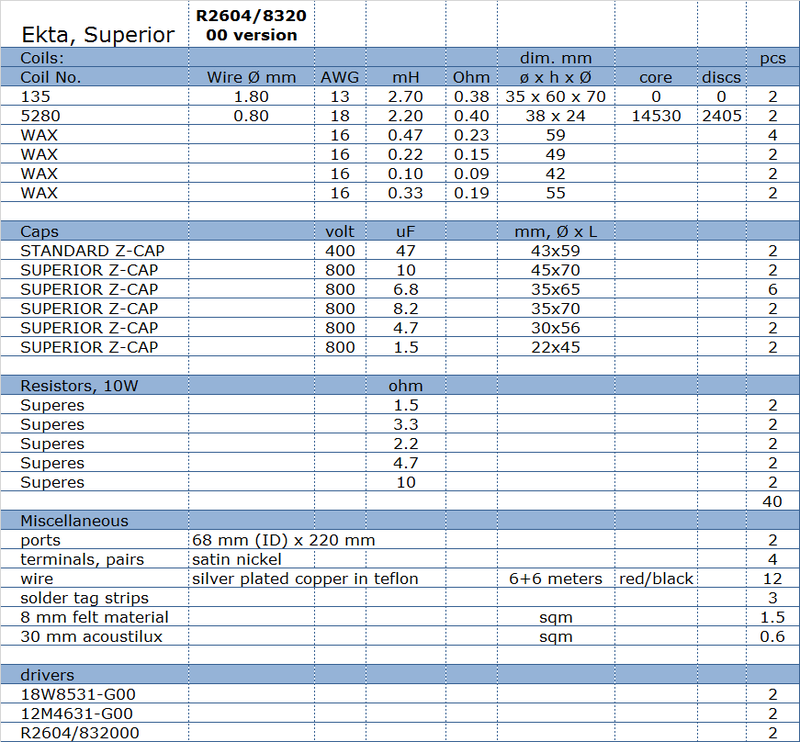 Now, can the R2604/832000 really cope with the 7000 tweeter? Indeed so. It sounds great. R2604/832000 version, 4R7 to tweeter. Don't forget the 0.22 mH to the mid section in replacement of the 0.1 mH coil. Later front panels were repainted and ended like this.